Rohan and Anna, owners of Cabarita Lookout, reside in Jacksonville, Florida but call Jamaica their second home! Cabarita Lookout...a new way to vacation! Sparkling turquoise seas, the verdant northern coastline, dazzling sunrises, tropical flowers and lush vegetation welcome you to Cabarita Lookout. Relax by the pool, enjoy a massage by Racquel, our in-house masseuse, dine under the stars and step into a new way to vacation. Escape the hustle and bustle of super clubs and tourism and enjoy your new “home away from home” in Jamaica. Our villa was completed in 2009 on the historic Wentworth estate, an estate filled with banana, orange, lime, mango and papaya trees. 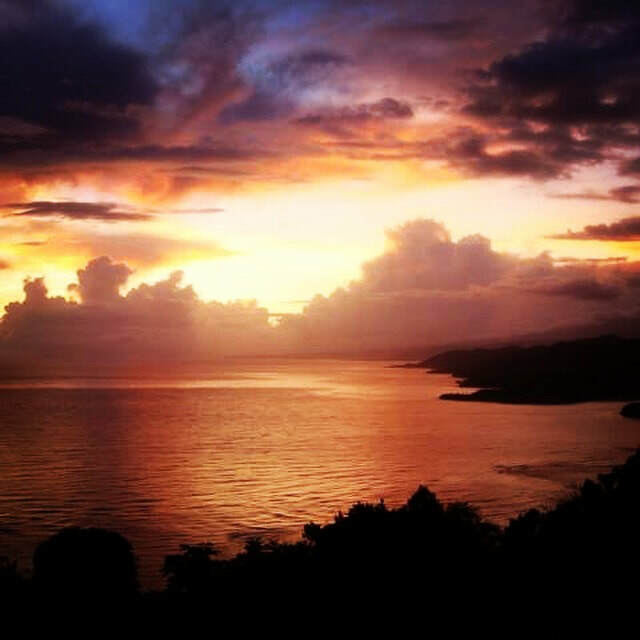 Known to be the illustrious Captain Henry Morgan’s historic lookout and sitting adjacent to playwright Noel Coward’s dramatic estate “Firefly,” Cabarita Lookout has one of the most beautiful views in all of Jamaica. Elegant yet cozy, we want our home to feel like your home. On your arrival at Montego Bay Airport, you’ll be greeted by Cutty, your driver, butler and new “best friend.” Cutty has a wealth of knowledge about Jamaica and will be happy to share the lore of his land as he drives you to Cabarita Lookout. On arrival you’ll be greeted with a rum punch by Sharon, both a fabulous cook and meticulous housekeeper. Cool sea breezes and breathtaking views will erase any memories of work or travel. 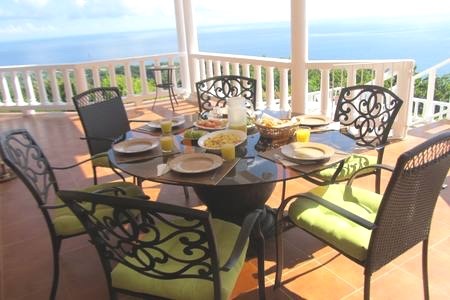 Dining and relaxing on the verandas promises cool sea breezes! The villa pool is 14x32 with easy access stairs, chaise lounges, an umbrella and chairs! The views from the villa verandas are breathtaking! Relax and kick back!